World Water Day is a Program of United National, celebrated every year on March 22. This program a unique opportunity for SHUKALB to draw attention and create momentum that compels government, civil society, and individuals to take action. SHUKALB assists member water utilities in the country to organize activities and spread the messages of UN on water at the local level. 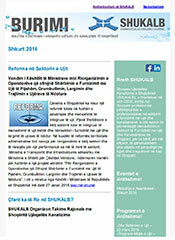 Second Stage: Distribution of awareness materials to the member water utilities all over Albania. 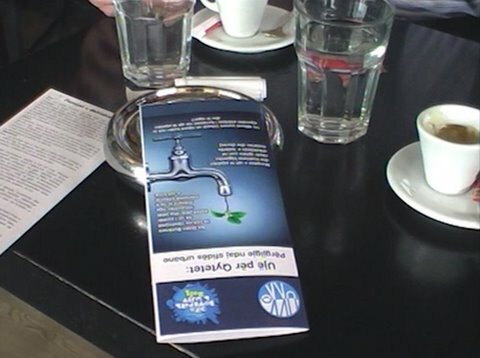 Final Stage: Public awareness distributing leaflets around the city with the World Water Day Message regarding water issues. 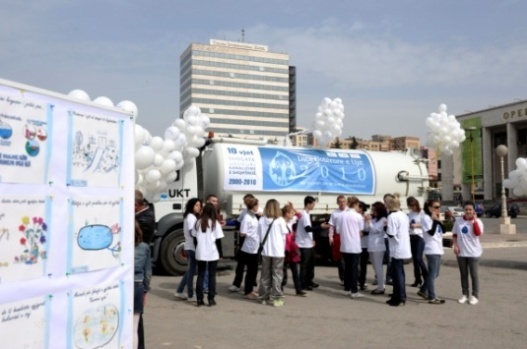 World water Day is an annual public awareness and outreach event that the Association has been organizing in cooperation with the water utilities all over the country, since the year 2007.